CREATE Foundation’s 2018 – 2021 Strategic Plan drives our commitment to improving the lives of children and young people with a care experience. 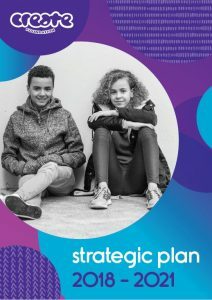 We created our Strategic Plan using the ideas and perspectives of over 1000 children and young people who had shared their vision for CREATE and the care system with us. It outlines our vision, mission, core principles, and goals for the next three years.